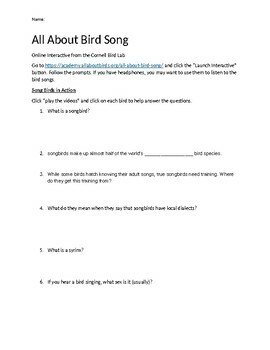 This worksheet is designed to go along with the Cornell Lab All About Bird Song Online Interactive. 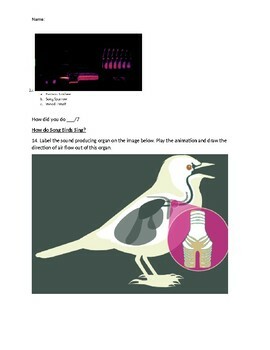 Students follow along with the site and listen and answer questions about how birds create songs. 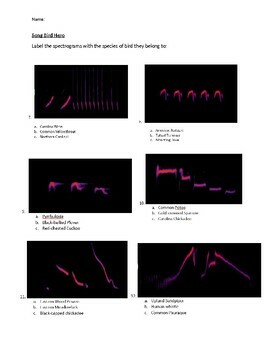 This document is editable to fit your needs and includes the link to the website.